What determines the price of bitcoin can be put in two words: demand and supply. The price goes up when demand for bitcoins grows, and it goes down when demand wanes. The price of Bitcoin shows how much people are willing to pay for it at a given time based on their expectations regarding its future value. It’s the same as with the price of any other currency, whether fiat money or cryptocurrency. Since Bitcoin is still young and its market capitalization is minuscule compared to that of the US dollar or the euro, its price is still very volatile. It’s expected to become less volatile when the market matures. However, the fun part about it is no one knows when that will happen, as it may be in five, ten or twenty years into the future. 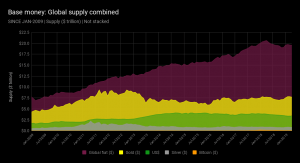 - The bitcoin supply is limited – it’s capped at 21 million. There are currently more than 17 651 950 (84%) bitcoins on the market. Reaching the limit of 21 million may take more than 120 years. - Technological development: improvements to security, anonymity, usability and user experience plus new features may increase usage of Bitcoin and positively influence its price. - Favorable regulations: if governments support the use of Bitcoin, that would bolster its price. - New business solutions could arise that raise the demand for Bitcoin. - Public perception: if more people come to see Bitcoin as an attractive form of money or asset and trust it, that would increase demand for it and thus also its price. 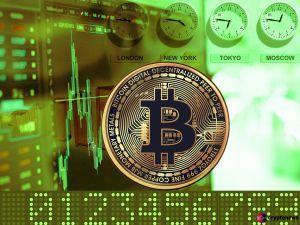 We may see the price of bitcoin fall in reaction to technological problems, ecosystem failures, unfavorable regulations, restrictions, market manipulation, negative media attention or other reasons for people to lose trust in the currency. Also remember that, like any other currency, Bitcoin is traded in pairs. So trends in the price of bitcoin can be somewhat different when trading it for US dollars than, for example, Ethereum’s ether. It’s critical to distinguish that bitcoin price may not reflect its value. While the market determines the price, the value of bitcoin is more subjective and depends on many factors. See our guide on why do bitcoins have value to learn more about it. If you want to learn more about whether the price of bitcoin will ever be stable, see this guide. Follow the latest news and price of bitcoin, using our Cryptonews.com coin index. Previous - Why do bitcoins have value?